In coming weeks, we will start talking about the Hundred Years’ War, possibly the most important war of the Middle Ages especially for the nations of England and France. But before we do, I want to offer a couple vignettes of two women you’ve probably never heard of. The first is the Emperess Matilda. She was the daughter of Henry I, the last legitimate Norman king of England, and his queen consort, Matilda of Scotland. The story of their marriage is another post all its own, but Matilda was born in 1102 shortly after their wedding. Matilda was born t0 wed, and was betrothed to Henry V, the Holy Roman Emperor, when she was only a child. They were married in 1114, when she was twelve years old. During her time as Emperess, she showed herself to be a strong, self-possessed woman and when Henry V died just short of the age of forty in 1125, she found herself as one of the more available widows of Europe. Lothair III, an unrelated German noble, succeeded Henry as German king and Matilda found herself back at her father’s court in England. Henry named her as his heir after her brother William died in 1120, and then arranged a marriage between Matilda and one of his enemies in France, Geoffrey Plantagenet, in 1127. Geoffrey thus received Matilda’s inheritance as her consort and became the successor to the Duchy of Normandy. Geoffrey was already one of the most powerful men in France. He was already the titular Count of Maine, and when his father, Fulk of Anjou, abdicated his seat as Count of Anjou so he could journey to Jerusalem in 1127 and succeed his friend Baldwin II as King of Jerusalem, Geoffrey added Anjou to his growing list of lands. Geoffrey and Matilda had something of a stormy marriage, but they still managed to have three children. The oldest son, Henry Curtmantle, was born in 1133 and grew up in Anjou with his father, then spent some time in England from age 9 until 11 before returning to France to serve with his father in Normandy. In 1135, Henry I died. Stephen of Blois, a grandson of William the Conqueror through his daughter Adela, rushed to England and claimed the throne since Matilda was a woman and thus, in his mind not eligible to rule England. He may or may not have been aware of Matilda’s son Henry who was at the time less than two years old. Matilda protested Stephen’s ascension, since her son Henry was the next legitimate heir. She and Geoffrey quickly acted against Stephen, marching on his lands in France and beginning a twenty year civil war known as “The Anarchy.” In 1141, her armies actually captured Stephen and she reigned for England, but her victory was short-lived and the people turned on her. Stephen then was returned and continue the war. In 1148, Geoffrey conquered Normandy and handed it over to his son, Henry. Aged and worn, Geoffrey returned to Anjou. “The Anarchy” reached a crescendo. In 1151, Geoffrey died. Then, in 1153, Stephen’s son and heir Eustace died. Stephen and Matilda both realized that something had to give. In 1153, they met and signed the Treaty of Wallingford, which named named Matilda’s son, Henry Curtmantle, as Stephen’s successor. When Stephen died, Henry would be not only King of England but also the Duke of Normandy, the Count of Anjou, a title he received from his father when he had died in 1151, the Count of Maine, and the Count of Touraine. 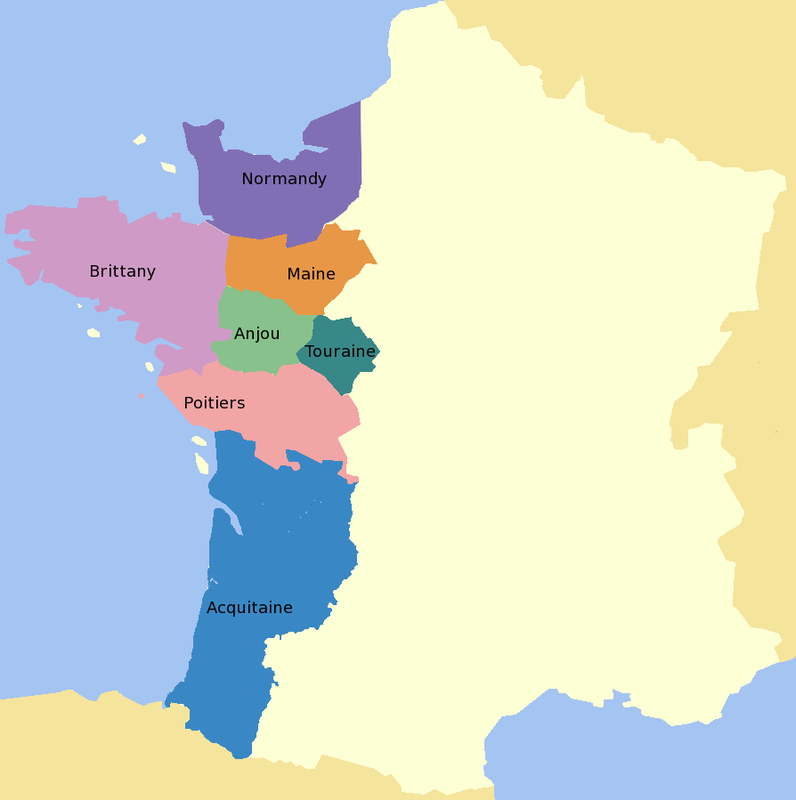 Together, Normandy, Anjou, Maine and Touraine constituted a large portion of French territory. Nominally, Henry was a vassal to the French king, Louis VII and while he controlled a large portion of France, he was not really powerful enough to threaten the King – that is until another women entered his life – Eleanor of Acquitaine. Eleanor was the daughter of William X of Acquitaine. She inherited suo jure both the Duchy of Acquitaine and the County of Poitiers when she was still only 15 years old. The King of France at the time, Louis VI, arranged her marriage to his son, Louis VII, but the match was not a good one. After his ascension, Louis and Eleanor went on the Second Crusade together. But Eleanor tired of the Crusade and demanded to be returned to France. She and Louis engaged in a terrible, running spat – in which she insulted him publicly and he actually had her imprisoned. Returning to France, they were divorced and only two months later, Eleanor married Henry Curtmantle. Then, Henry’s mother negotiated the Treaty of Winchester with Stephen of England, and when Stephen died, Henry ascended the throne of England. So, not only was Henry the Duke of Normandy, Count of Maine, Count of Touraine and the Count of Anjou; but thanks to Eleanor, he was also now Duke of Acquitaine and Count of Poitiers. He installed his brother William as Count of Nantes in 1156 and by 1160, Henry had reduced Brittany to a satellite of English rule. This made him easily the strongest and most powerful man in France. Understandably, Louis was terrified. One of his vassals was not far more powerful than he was and what’s more was King of England. 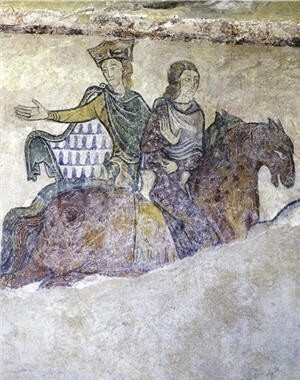 After seeing Henry crowned, Matilda retired to Normandy where she acted as Henry’s representative ruler in his absence. She spent most of her time dealing with the difficult relationship between Henry and his brother Geoffrey, who had actually tried to kidnap and marry Eleanor back in 1152 and gain power for himself. Henry finally appeasd Geoffrey by having the people of Nantes accept him as their Count. This ironically turned Geoffrey from an enemy (he actually sided with Louis in most conflicts until this point) into a nominal, or at least neutral, ally. 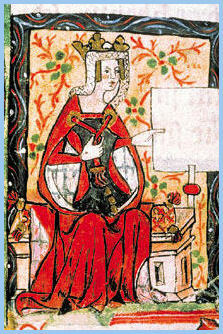 The Empress Matilda died in 1167 with her son Henry reigning as King of England and master of most of France. Her other sons, Geoffrey and William, were nobles under Henry’s influence with Geoffrey as Count of Nantes and William was eventually installed as Count of Poitiers. Eleanor outlived Henry, spending the last couple decades of Henry’s life in prison for trying to overthrow him. She must have been a difficult woman to get along with, since Henry was the second of her husbands to have to incarcerate her for insurrection and insubordination. After Henry died, their son, Richard I (The Lionheart) freed her. She outlived Richard, finally dying during the reign of his brother John. John terribly mismanaged the French territories his mother and grandmother had worked so hard to gain. When Matilda died in 1204, John was already backpedaling as a feudal lord in France. It was John’s blunderings that ultimately led to the French taking over almost all of the regions of France consolidated by Henry II. In less than a generation, all but parts of coastal Normandy had been lost to Luis VII and his son Louis VIII. At one point, the barons of England even declared Louis VIII as the King of England! Almost single-handedly, Matilda and Eleanor managed to set up the transition of power in western Europe from France to England. Matilda strengthened England while Eleanor alternately strengthened and weakened England. They contributed to the identity of the English monarchy, and setup the rivalry of the crowns of England and France. A century later, England and France would enter what is known as “The Hundred Years’ War” – a series of conflicts over the territories originally held by Henry II, thanks to Matilda and Eleanor. But that’s a topic for another day. Wow, thanks for the history lesson! Now I see why the English hated John the 1st (and only). Yeah, you can imagine that few people would be naming their kids after an American president who managed to lose all the states from the Mississippi west to Mexico. This period is one of those little known moments in history that changed the entire course of things. Thank you for this very interesting parallel between two major Queens of England ! I would love to know more about there relationships! Just one quick note on Luis VIII not being the son of Luis VII ( but rather his grandson, and son to the “grand’ Philippe Auguste).